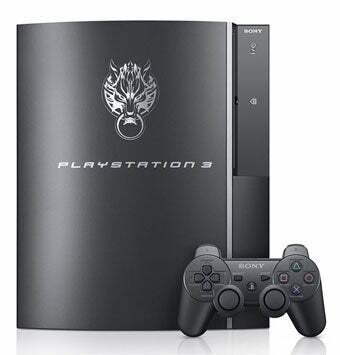 Want to get your hands on the Final Fantasy VII: Advent Children Complete branded PlayStation 3? That fancy decoration is going to cost you if you plan on importing. So... how much? Importer National Console Support is first out of the gate on pre-orders for the "limited" edition version, offering the complete package — one 160GB HDD PlayStation 3, one Final Fantasy VII Advent Children Complete Blu-ray disc movie and one Final Fantasy XIII demo — for $619.90. Their notable competitor Play-Asia has not yet opened pre-orders. I guess the question you have to ask yourself is: How desperate are you to play a Japanese language version of an FF XIII demo?